National Book Award Nominee American Library Association Notable Book An Outstanding Book in Women's History at the Berkshire Conference of Women Historians From the collapse of the Kaiser's regime to the destruction of Hitler in his bunker, Germany has been studied, explicated, and psychoanalyzed time and again. Yet there have been few detailed investigations into the historical and cultural roles played by German women in modern times. This important book, which Kirkus called "original and intriguing," corrects this imbalance. Claudia Koonz received her doctorate from Rutgers University and is currently a history professor at Duke University. She is also the President of the Eleventh Berkshire Conference on the History of Women in Rochester, New York in 1999. 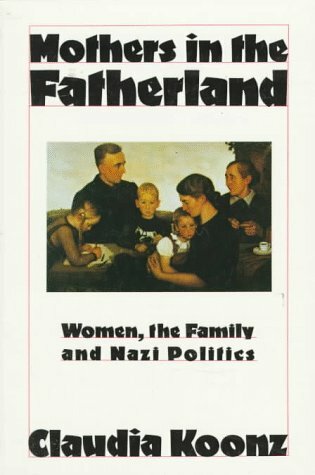 Koonz combined her many interests in history to write Mothers in Fatherland: Women, Family, and the Nazi Party, which examines female participation in the Third Reich. Koonz has won the 1993 Alumni Distinguished Undergraduate Teaching Award from the Center for Teaching, Learning and Writing at Duke University.